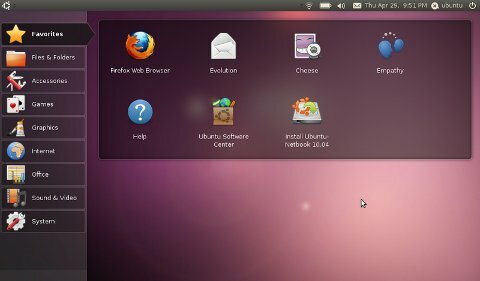 NEW applications are being decided upon not just for Ubuntu 10.10 but also for Ubuntu Netbook Edition 10.10. According to this provisional list, not only will F-Spot be removed from Ubuntu 10.10; Shotwel is currently listed as a candidate for Ubuntu Netbook Edition 10.10 and as we noted earlier, Google’s Web browser is also replacing Firefox. Mozilla’s CEO announced his resignation some days ago and it would probably be a little misguided to help Google harvest more data, but that’s a topic for another day. I think there’s that new brain game, gbrainy, in by default as well? I’m not as optimistic that if Tomboy were the only app it would lead to Mono removal – after all, Team Apologista used Tomboy as sole justification for Mono inclusion for a long time. Furthermore, when you consider the personal vilification of GNote’s originial developer by many of the same people, I think it is quite clear that a certain segment (the majority?) of Mono supporters are not arguing from a rational position. Instead, I predict they will both resist replacing Tomboy with GNote, as well as continue to attempt to replace existing FLOSS offerings with Mono-encumbered “alternatives” (a la replacing Rhythmbox with Banshee). I also expect the most trivial programs to slide in (like gbrainy) , so Team Apologista can pretend like Mono is a valuable framework. ITWire goes with a headline which says that “Ubuntu throws out Mono-based photo-editing app” (strongly worded). The next version of the Ubuntu GNU/Linux distribution will jettison the current default Mono-dependent image management and photo editing application, F-Spot, in favour of Shotwell. The H clarifies that Shotwell is written in Vala. F-Spot is a GTK+ application in C# and Mono and has been a controversial application predominantly due to that choice of development language and runtime. Shotwell is a less contentious choice, written in Vala (which in turn compiles to C). However, the change appears to have been made on other grounds, such as better memory management. Tomboy, another Mono based application, is remaining in Ubuntu 10.10.